Help! It's Time to Revise? There comes a time in every determined writer's life that the final punctuation mark is set on the final page of the very first draft. For quick, efficient writers, that moment may come quite quickly - perhaps days, even hours, for a picture book writer - or several weeks for a novelist. Worldwide, NaNoWriMo participants can look forward to a complete first draft in only 30 days every November. For languid, meticulous, or easily distracted writers, the first draft may take years. I recently met an aspiring author who was decades into the story that ignited his passion for writing. While he had finished other manuscripts, the first remained elusive. Every syllable was lyrical, every word resounding, and yet, after more than 40 years with the manuscript, it was still incomplete, waiting to find its perfect first draft ending. I myself have notebooks brimming with incomplete first drafts, sometimes with beginnings so strong I'm paralyzed with fear to make a mistake and ruin the magic should I continue. However, incomplete first drafts do not a published author make, so I push myself to move forward bravely. As every writer must. But when the moment comes that the last i has been dotted, the last t crossed, the last period furiously embedded onto the final page of the first draft, what comes next? The hopeful, yet naive, optimist living in all of us teases us with daydreams of getting "discovered," followed by instant publication and accolades. Then we awake from our pipe dream and realize all we have done is put the last dot on a first draft of a story. And that is big - huge even - and we should celebrate and pat ourselves on the back for our accomplishment, but we find there are no mystery agents looking over our shoulder, and, in fact, the story is not even perfect. Actually, there are some holes. And funny transitions. And, oh, minor supporting characters that should play a bigger role, or who accidentally disappeared from one chapter to the next. And the voice is all mixed up. And ... and ... and ... we want to, nay we need to, fix it. So, we shake ourselves off, and recognize that the author's toughest work is not actually in the first draft we wanted to celebrate so largely. It's in the revision, and that is when the real work truly begins. How do we do it? How do we revise? • First, go ahead and celebrate that first draft. Be proud of your accomplishment and give yourself a few days to smile a little bit brighter, step a little bit lighter, knowing that you've finished something! • During your celebration, set the first draft to the side. Hide it for a few days to allow yourself some distance. • Now, go back to your story and read through it a few times. You may want to read through it once without any judgement or mark-ups, just to get back into the rhythm and story. • Then, pull out the red marker and be ready to write. In the beginning, ignore grammatical errors. This is not the time to copy edit your work - this is the time to revise. This is big picture stuff. • Read through the draft again, and this time mark areas that don't quite work. Don't think about how to fix it yet, just mark it up with that red pen. Give it a question mark, or circle it. It might show a break in tone, or confuse the reader, or elicit questions. It might hide or reveal too much. It might inadvertently change tense or point of view and need some work to match the rest of the manuscript. • At the same time, give yourself a star in places that work really well. • Now, get in there and address your problem areas one at a time. Play around with deleting paragraphs or pages, or rewrite them, or move them around. You may find that your 10th chapter is really your first chapter, or that you accidentally changed point of view in one area of the manuscript, and you like it better for your piece. Make sure you've saved previous versions, so you are not afraid to play. Chances are, you'll make it better and you'll wonder one day what you were ever thinking with those first versions, but just in case ... it's good to have a back-up plan. • You've heard it before - don't be afraid to kill your darlings. That doesn't just apply to favorite characters. The eloquent scene that doesn't fit the plot? Cut it. Put it in your inspiration drawer for a future story. Shake things up a bit. If there are parts of the story that lag, add some action or controversy to spice things up and keep your reader intrigued. • Once you've been through a couple of revisions, take your story to a critique group and/or share it with beta readers - readers you trust to tell you the truth, but in a supportive way. 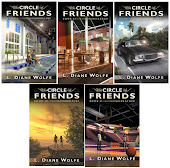 One author I spoke with said that if three critique partners found a problem in the same place, there was a problem, and she needed to address it. Less than three, she'd take feedback into consideration but not necessarily feel compelled to act. More than three, there was a big issue. • Take the feedback, sit on it, and revise again. • Repeat, repeat, repeat, until you feel ready to search for that dream agent or get ready for indie publishing. Your story won't be perfect. But it *will* be ready, and you'll know exactly when "good enough" really is … good enough. And five years down the line, when you look back through more experienced eyes and see your amateur self staring back at you, you will not cringe. You will remember all the work, and you will pat that amateur on the back for having the guts to write, revise and get published. What do I know about revision? 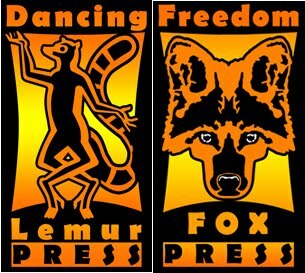 I am a freelance journalist, who has been producing articles for a local newspaper for more than three years now. First draft to revision often transpires in hours due to the quick turnaround. It can be stressful under a tight deadline, but I do not turn in an article assuming revision is my editor's job. It's mine. I have to make sure it's ready to go. Then my editor makes sure that there aren't any holes, the story fits in the space available, and grammar is up to par on style guides. 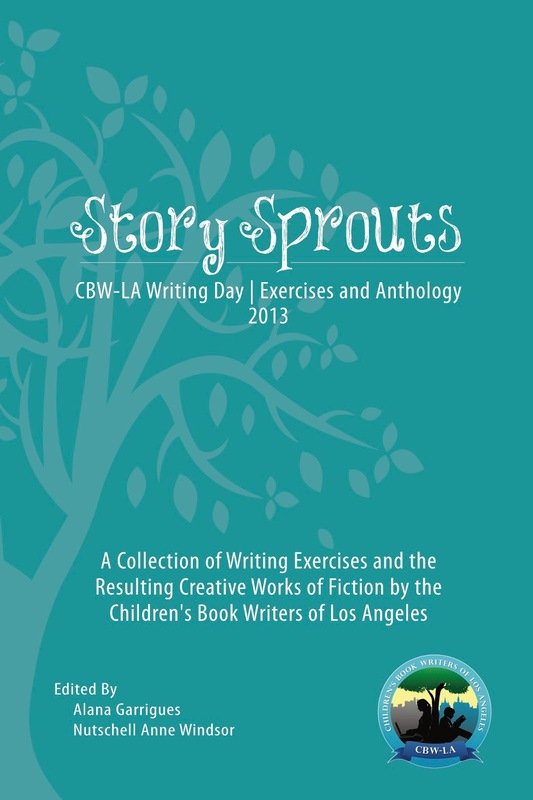 This fall, I co-edited a writing resource book and anthology with the fabulous Writing Nut, Nutschell Ann Windsor, founder of the Children's Book Writers of Los Angeles. In the process, I was responsible for translating a one-day writing workshop that Nutschell planned and facilitated into a narrative form. I wrote and revised the narrative until I recognized it would just have to be ready. Imperfect, and duly beautiful, as it was - it was time to let it go. By the time the authors' (who created two stories based on the 10 writing exercises during the one day workshop) pieces reached me for editing, they had completed three revisions during the writing workshop. Changing up the point of view, as well as playing with the genre, were two of the exercises our authors used to uncover story holes during the revision process. The authors' revisions helped me understand their voices, and edit appropriately. The book is not perfect - the entries are raw. Our writers composed in the moment. Our publishing schedule was fast, and the narrative is not flawless. But it is good, really good I think, and I am proud of our writers and what we accomplished together. I am proud to have my name on the cover of a quality endeavor. For at a certain point, I realized, our writers who attended the workshop needed to see their work in print, and I would never reach perfection. But the resource would be strong, the voice unique, the exercises and tips interesting, and the contributions inspiring. And that was "good enough." Give myself a star? Need to get some gold stars! I've said it before, knowing all you writers through blogging and reading about all the difficulties, the disappointments, the revisions and so on makes me so very glad I have no ambitions to be a writer. Thank you for these revision aids. I am getting close to finishing that rough draft, so this is timely! Revision is where I struggle, but I'm getting better at it. The last novel I finished a good third of the way through I realized it wasn't working. I completely changed the POV and tense, cut the first two chapters and then it flowed. Vanessa, that's extreme, but it worked. Jo - LOL!! You don't think it sounds like fun? Bish, that's a lot of work to change the POV. Wonderful revision tips, Alana! Perfect since I'm in the midst of revising my YA. Diane, thanks so much for hosting us here today! You rock! Vanessa, wow! An extreme change--but one that paid off big time. Robin, good luck with those revisions! Good tips. I think getting a little distance from the first draft always helps you see things clearer. I love the revision process, although hitting that delete key is hard. This is wonderful advice. Something I can always use so I appreciate you sharing it. Wishing the Story Sprouts gang all the best! Vanessa - I bet that was really tough to make the call to delete half the story, but it sounds like it was absolutely the right thing to do! Jo - It's rough, but usually worth it. Probably nice not to worry though! Robin - YAY! Congrats on getting close. Hope these help! Bish - That is a great tip - POV and tense can make such a difference. And I have spoken to so many writers who say their biggest revision was to drop the first couple of chapters. Sometimes it takes 30+ pages of "warm-up," without realizing it's warm-up, to get there! Nutschell - Can't wait to see what you do with your story!! Mood - Distance is definitely a great thing! Karen - Thanks so much!! Thank you, Diane, for hosting us today!! Well said, Diane. There are so many tough aspects of writing - but revision has to be the toughest, at least for me. I have a newspaper background as well - there's nothing like a do or die deadline to teach you how to write. Thanks for the comment Cathy! Yes, that newspaper deadline will whip a writer right into shape!! The more you write, the easier revisions become. After killing so many darlings, it doesn't hurt as much (at least for me). This is one of the most thorough guides for revising I've seen. I wish I read it years ago. It would have saved me the trouble of figuring it out for myself. I love revising. That sloppy first draft begins to take on a nicer shape. Great tips. Some extremely useful tips here, and I especially appreciate the reminders that it's okay to be pleased with myself at every stage of my work for accomplishing as much as I have. Oh, I know you're correct and your points are valid. I am one of those slow meticulous writers who strives for perfection in the first draft. That's probably why I haven't finished anything yet. Revision--it's something I need to address, but I get so impatient with my own writing sometimes. Diane--I hope you'll check out my Battle of the Bands post tomorrow as it includes something by a group you've indicated that you like. Check out my preview today to see if you have any inkling of what song I've chosen. I really appreciate your advice, as I'm approaching the home-stretch of rough draft one. Thank you, Alana and Diane. I'm going to keep your wisdom in mind. I've got a 7 year old WIP that should probably be more accuarately labeled "the Whipping Boy" due to the amount of revisions and critiques its been through. I doubt it will ever see the publishing light as I'm not willing to self publish - even though many have told me its a good concept - and it just keeps needing more and more revision. Every time I learn some new writing technique I try it out on this first novel. I do understand why the first novel never gets published, lol. Congrats to you and Nutschell on the Story Sprouts tour, I see it is going well. Hi Diane - good wise tips and advice .. then Nutschell's workshop - the participants obviously really did their stuff, under everyone's guidance - The idea of Story Sprouts sounds a great idea .. Thanks everyone for visiting. I was offline yesterday due to new flooring in my office and a trip to the vet for my cat that has us facing the big C right now. Very useful info on revision. Although, I find my rough drafts are just fine. I don't do workshops and I like the help I get from Penny the Jack Russell dog and modest internet superstar. I do hope everything is going to be okay with your beloved cat, Diane. Good advice. I've been known to let my first drafts sit for a couple years before I return to them. Guess I get too distracted by my next "big idea." Revising is the tough part of writing! It's fun to celebrate the first draft. Then it's time to do the real work! Awesome tips! I'm revising right now. I love writing the first draft, but revising is rough for me. Nice informative post. I keep thinking that I may never get anything published in my lifetime but boy when I am gone my family will have so much fun reading through journals and scratchings I have. I have just finished my first draft on my third book, all ready to go to the publishers when weather and health improves. Most interesting post and very helpful. I love the idea of giving myself a star. Never thought of that, but you're so right. It's important to recognize what really works well. Thanks, Diane! I love the tips about reading it through...many times. It's so important to focus on that big picture first.